Lanzerac Hotel is positioned in the beautiful Jonkershoek Valley of South Africa. The Esquire Whiskey & Cigar Bar inside the Lanzerac Hotel serves luxurious meals. 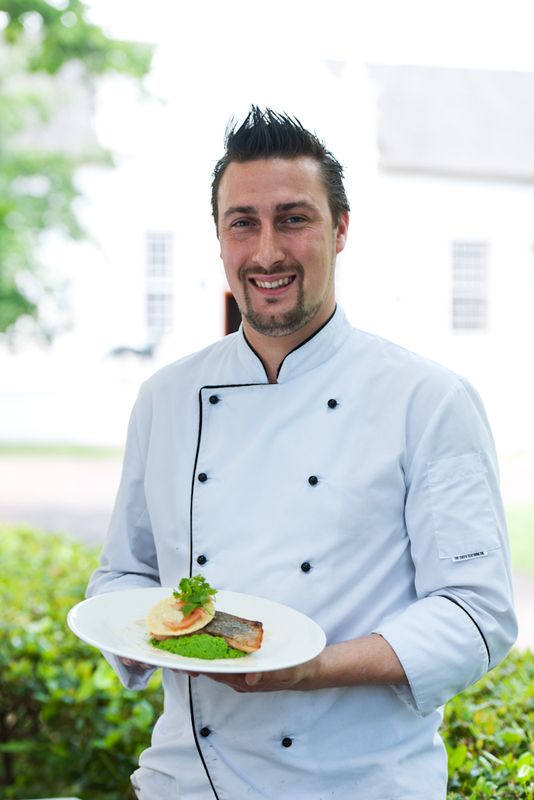 The Executive chef of Lanzerac Hotel displays one of their delightful dishes. 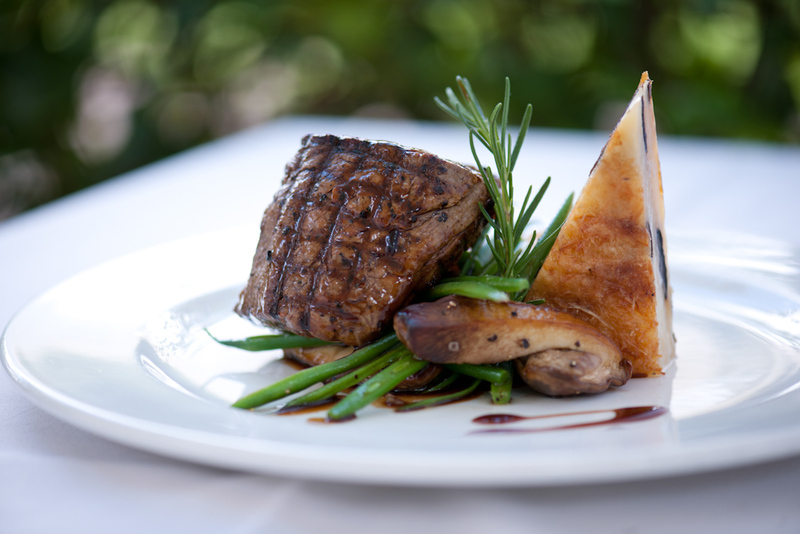 One of the scrumptious meals served at the Lanzerac Hotel. 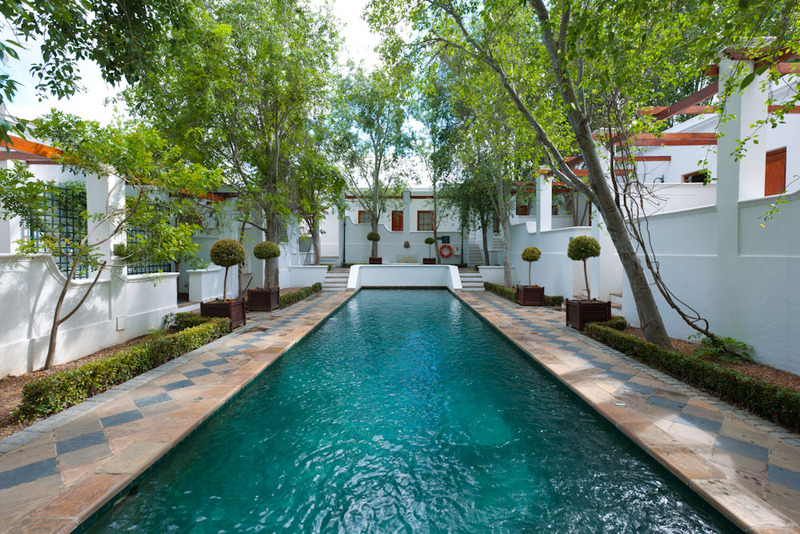 Stellenbosch's Lanzerac Hotel has a tranquil courtyard pool to lounge in. Magenta blooms adorn the walls of Lanzerac Hotel in Stellenbosch. 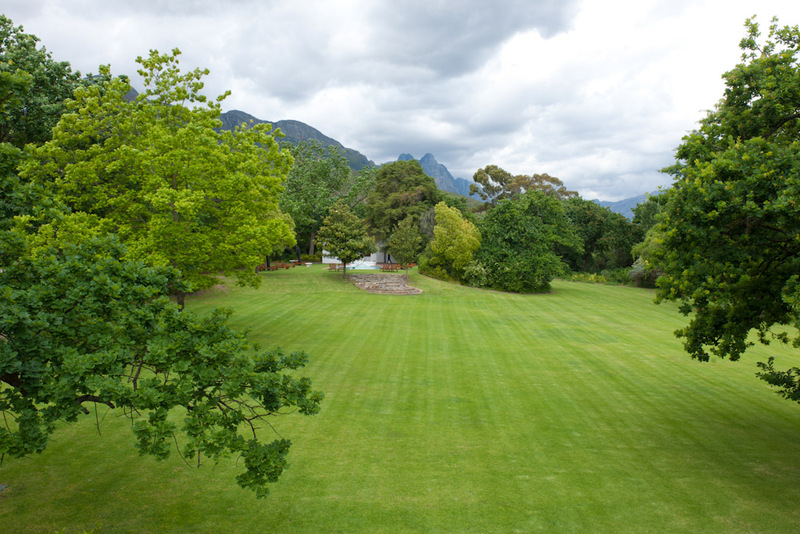 The vast lawns of Lanzerac's Manor house. Seating at Terrace Restaurant inside Lanzerac Hotel, Stellenbosch. 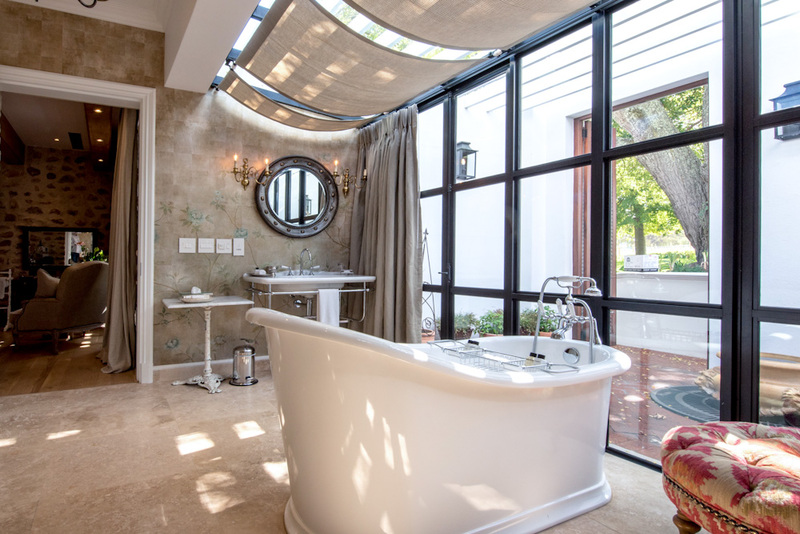 Lanzerac Hotel located in Stellenbosch, has luxuriously expansive bathrooms. One of the newly renovated rooms inside the Lanzerac Hotel. 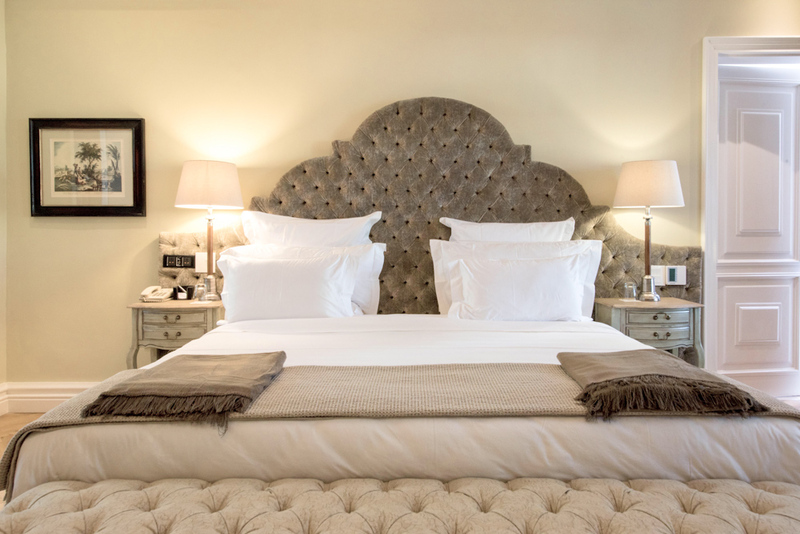 Nikki Wallman discovers a grand old dame of South Africa’s Cape Winelands who retains all her history and character – while enjoying a luxurious facelift. When it comes to hotels, there’s a time for the cool and cutting-edge; and there’s a time for those rare, well-worn gems where the walls whisper history and old-school hospitality lives on. A recent visit to South Africa’s Cape Winelands – a patchwork quilt of gorgeous old towns, vineyards and valleys just an hour from Cape Town – was one of those times. 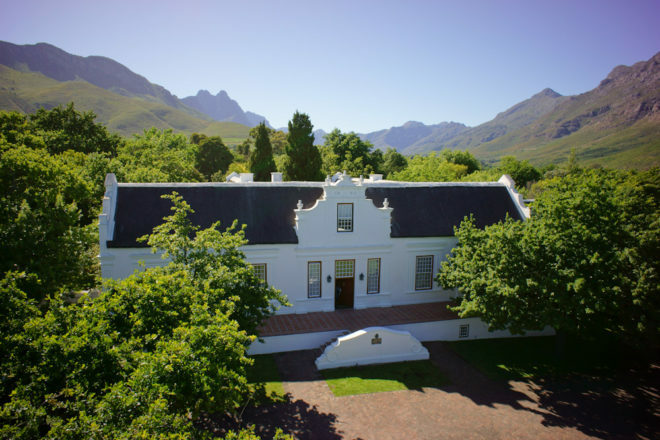 Located five minutes’ drive from the lively university town of Stellenbosch, Lanzerac Hotel & Spa nestles comfortably into the foothills of the Jonkershoek Valley as though it’s been there forever. Indeed, the wine estate’s history dates back to 1692, with various owners and name-changes (it was originally called Schoongezicht, or ‘beautiful view’). As such, it has layer upon layer of history: the release of the world’s first bottled Pinotage in 1961; one owner’s painstaking collection and restoration of beautiful antiques (many remain today); the designation of its Manor House as a national monument; and famous guests including Bobby Kennedy, modern-day heads of state and celebrities. The current owners are giving the old dame an extensive nip-and-tuck, which started with the on-site wine tasting room and delicatessen and is currently in the midst of a rolling renovation of all 48 rooms and suites, plus the spa (due for completion by the end of 2016). Driving up the imposing, tree-lined driveway, the hotel’s tremendous sense of history and character unfurls. 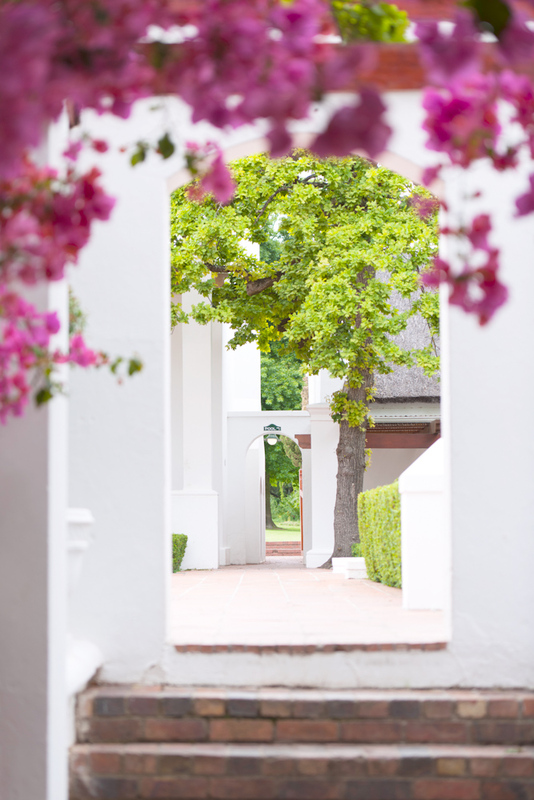 Framed in the foreground by a circular, manicured lawn and in the background by those magnificent mountains, the sprawling network of thick-walled, classic white Cape Dutch buildings is offset by pops of bright pink bougainvillea. Our party – myself, husband and baby, and my parents – is warmly greeted with flutes of Champagne (orange juice for our son) as we take in the lobby’s soaring wooden ceilings, gold-framed portraits and polished marble floors. Our own Junior Suite is yet to undergo the refurbishment that’s seen a subtle, luxurious modernisation of around half the rooms thus far: think soft pastel-hued wallpapers, light wooden ceiling beams, deep bathtubs, and glass chandeliers, paired with (in many cases, original) ornate antique furniture and plush leather pieces to retain a sense of history. Tucked privately away off a quiet courtyard, our expansive space is highlighted by a rich red Persian rug, reassuringly heavy curtains, and leather bedhead, creating an aura of lived-in luxury in the golden light of the overhead chandelier. Wooden ceiling beams, botanical prints and heavy-set furniture add to the ambience. There’s so much room, we almost feel we should invite some guests around after drinks on the terrace for a good old-fashioned knees-up, just to justify it all. The bathroom is also enormous, with a claw-foot bathtub, shower and separate toilet. It leads out to our private courtyard with water fountain and mountain views. We meet my parents for pre-dinner drinks on the lovely white table-clothed terrace, where the setting sun splinters through old oak trees. 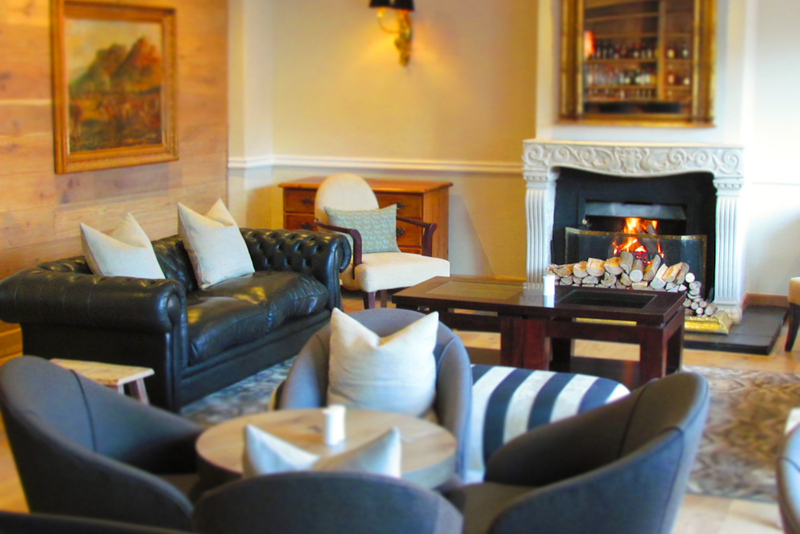 The hotel’s drinking and dining spaces embody its aura of historic hospitality; the Taphuis bar is one of the Cape’s oldest, with antique wooden furnishings, large fireplace and stone floors polished by the happy heels of guests past. There’s also the Esquire Whiskey & Cigar bar; the Governors Hall restaurant, where dinner (Fynbos honey-glazed pork belly, shiitake-crusted springbok loin), lunch and breakfast (from oysters and Champagne to breakfast burgers) are served; and the wonderfully old-school Craven Lounge, where cognac is taken and newspapers rustle. With baby on board, we don’t make it to the wine tasting room or lovely outdoor pool. Mum and I do, however, steal away to the spa, where I bliss out during a heavenly facial featuring grape-based skincare products. Reclining by the indoor pool, gazing at the mountain views through enormous windows overlooking the vineyards, I’m immersed in the serenely gorgeous surroundings. Therein lies Lanzerac’s charm, really: the sense that simply by visiting, and partaking of its beauty, that you too become a part of its story. I’ll be back to try out those new rooms – and the hotel’s next chapter – for myself. 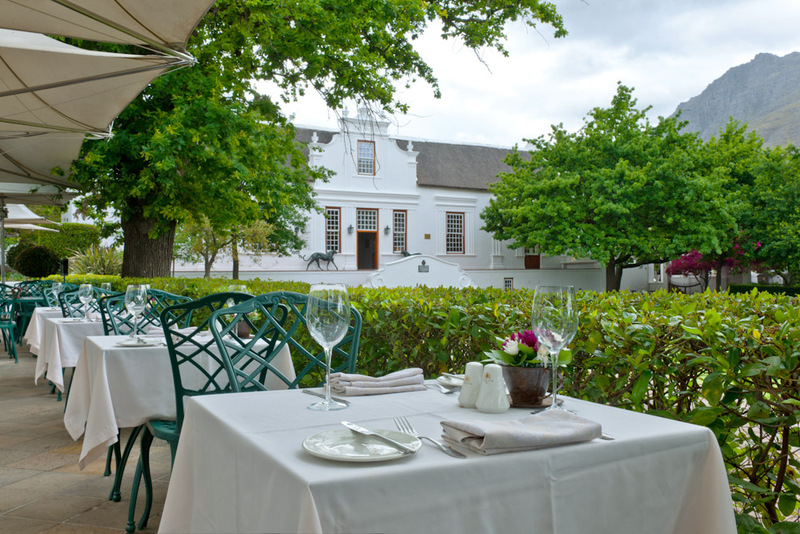 This elegantly luxurious, historic haven among the vines is the perfect way to soak up the sights and flavours of the Cape Winelands. Close to Stellenbosch yet totally private, you’ll feel you’ve truly escaped daily life. You can’t beat a hotel that so encapsulates the history of its location: the antiques, the wines, the jaw-dropping scenery… and modern renovations promise to keep things five-star. Classy without being stuffy, but sometimes a tad slow. Classic luxury with character. A few small elements were in need of an update, which the renovations will no doubt address. A clever fusion of European classics with South African flavours, complemented by a variety of cosy drinking dens. We paid $415 per night for our Junior Suite, including breakfast – you’d pay more for the equivalent in Australia.